Thank you to Mark Isfeld Secondary School who donated to YANA in honour of Jack Boan’s huge effort and achievement in reciting over 1,000 digits of Pi. Valley Vonka is not only bringing some big excitement to town this spring but it is raising funds for You Are Not Alone (YANA). The common denominator in community fundraising is the desire to support local families who need to travel for the medical care of a child under 19 or a pregnant mother. One of these families is the Wallace family. Claire Wallace was born with an arm and hand that didn’t move and despite the hopes of doctors and her parents the condition did not improve with time. 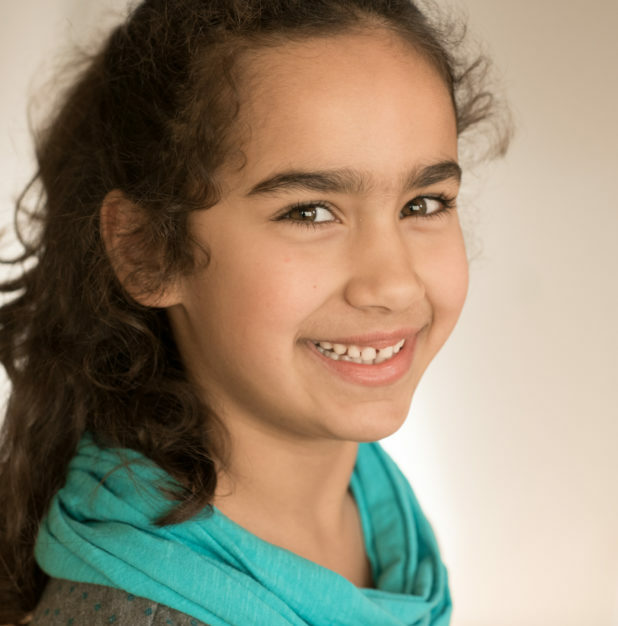 By the time Claire was six it was determined that a major surgery was needed and YANA was able to assist the family during their stay in Vancouver and has been able to support their subsequent follow-up visits. Coincidentally, Claire’s grandmother has worked alongside Marshall for the past twelve years at Hot Chocolates. 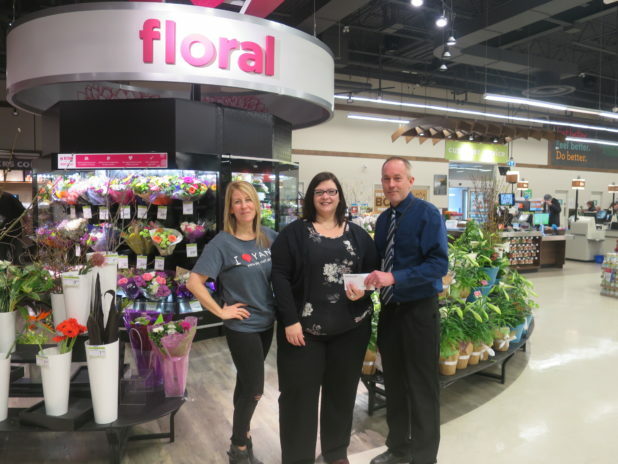 Big thanks to Thrifty Foods for helping YANA acknowledge the important work of YANA volunteers and a shout-out to Tracy Bono for winning the volunteer draw at the 2018 Big Love Benefit! Volunteers are integral to the success of our gala! We are so impressed! Jack Boan recited 1,130 digits of pi in a packed Isfeld lobby on March 14 and inspired many pledges to YANA. Thank-you Jack! 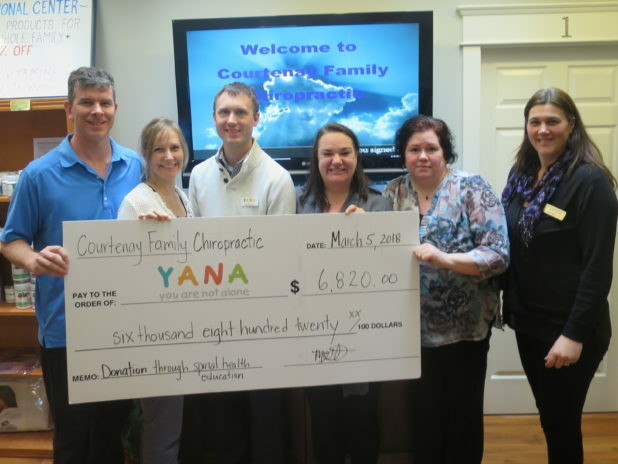 Sincere thanks to Courtenay Family Chiropractic for their generous donation to YANA provided through their spinal health education sessions. Your efforts are very much appreciated! 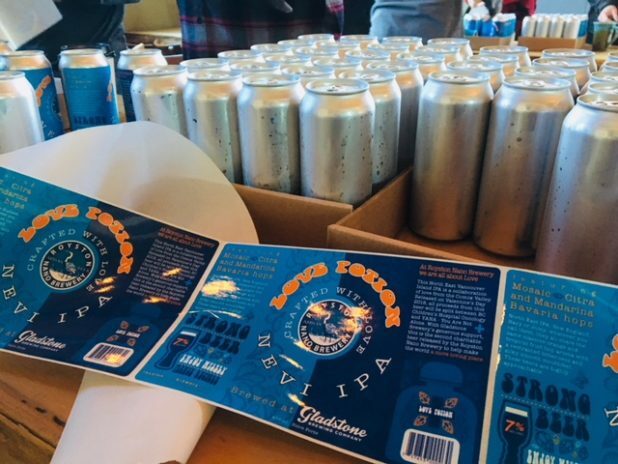 Thank you to big-hearted brew master, Brad Harris, to all of the volunteers who labelled Royston Nano Brew’s Love Potion IPA and to Gladstone’s for hosting the fun. Our gratitude to the staff at Shoreline Orthodontics who recently donated their jeans day funds to YANA. Happy belated birthday to Pierce Gerritsen. We appreciate that you share your birthday money with YANA! You are a great kid! Any day is better with a little pie. Pi is the ratio of the circumference of a circle to diameter, an irrational number that never ends. ‘Pi Day’ is celebrated each year on March 14 or 3.14, the first digits of pi. Since first grade Boan has been memorizing the digits of pi and reciting them on Pi Day. Several years ago he started using the occasion to fundraise for YANA (You Are Not Alone). The 13-year-old Grade 8 Mark Isfeld student will be at it again next Wednesday, all in the name of YANA. 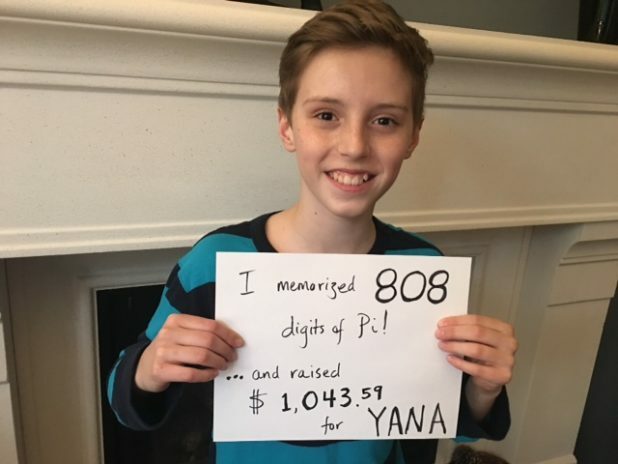 Last year Boan memorized 808 digits of Pi and raised more than $1,000 for YANA. He’s hoping to improve on both counts this year. To pledge Boan you can donate to YANA directly at https://www.yanacomoxvalley.com/donate/ (mention Pi Day in the notes) or through the YANA office. Nationally ranked with his official count of 808, Boan is the sixth-ranked Canadian on the Pi World Ranking List. The top Canadian is Chun Wang, who recited 8,148 digits of pi on Pi Day last year. The world record holder is Suresh Kumar Sharma of India, who recited 70,030 digits of pi on Oct. 21, 2015. It took him 17 hours and 14 minutes to complete his recital. Boan is ranked 166th worldwide.